2016 has been a very succesfull debut year for Keystate. After the succes for Reckless and Memories which has been supported by the likes: Cosmic Gate, Roger Shah, Tristan D and many others. Its time for a new one called Rise. Once again featuring the beautifull vocals of Lilly White. 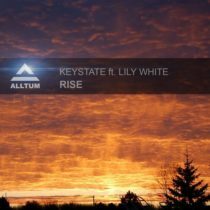 Keystate delivers us 2 mixes this time, so you can pick your destination 🙂 Be aware this is only the beginning, because we much more lined up from these fresh talent from South Africa!